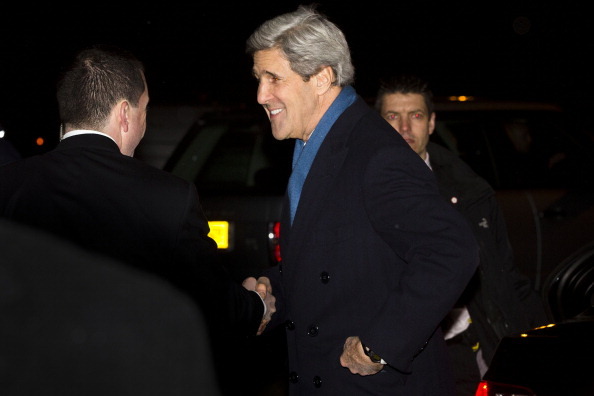 I know you have a lot on your plate as you begin your first trip overseas as Secretary of State. You’ll be visiting America’s allies in Europe and the Middle East, by my count nine countries in eleven days. According to press reports, the on-going conflict in Syria is going to be at the top of your agenda, which is as it should be. The latest estimates by the United Nations indicate that at least 60,000 people, mostly civilians, have been killed since unrest began. Human rights violations there have been appalling and wide-spread. While you continue your important work on Syria, however, I hope that you can spare some time for the on-going human rights violations elsewhere in the Middle East. Sadly, many of these violations are undertaken by America’s allies in the region, including Egypt, Saudi Arabia, and Bahrain. In particular, I’d like to talk to you about Turkey, one of our closest allies in the region. After a shaky start, US – Turkish relations are now quite strong. Yet, part of being a good friend means being honest. The recent comments of our Ambassador in Turkey, Francis Ricciardone, regarding the state of Turkish human rights were welcome, but they are sadly the exception rather than the rule. America can do more to support human rights in Turkey. The human rights situation in Turkey is grave, Mr. Secretary. Kafkaesque trials result in long prison terms under Turkey’s bloated anti-terrorism statutes. These laws have resulted in tens of thousands imprisoned, including students, human rights activists, and their lawyers. Lengthy pre-trial detentions and shoddy care serve to punish even those who have not been found guilty of any crime. Speech deemed “offensive” can easily be prosecuted. The press has also been targeted; indeed, Turkey has earned the dubious distinction of having more journalists in prison than any other country. These arrests are only one part of a larger pattern of crushing critical voices. This is a historic opportunity to support human rights, Mr. Secretary. It is incumbent on you to urge Turkish authorities to end its dithering and half-measures and truly bring Turkish law into line with international human rights standards. To aid you in your discussions, Amnesty has helpfully worked up a guide to the urgent steps Turkey must take. But the gist of it is this: Turkey must repeal or amend laws that have violated basic rights of freedom of expression, anti-terror laws must be changed to ensure that they no longer prosecute people for their beliefs, but only for recognizable criminal activity. Turkey is an vital ally to the United States, Mr. Secretary. But we could be a better friend. And true friendship includes some honesty about self-destructive behavior. Best of luck on your important trip, Mr. Secretary. I hope you can make it a successful one. This entry was posted in Censorship and Free Speech, Europe, Middle East and North Africa, Military, Police and Arms, Security and Human Rights, USA and tagged amnesty international, Bahrain, egypt, Francis Ricciardone, freedom of association, freedom of expression, freedom of press, John Kerry, Middle East and North Africa, saudi arabia, Syria, terrorism, Turkey by Howard Eissenstat. Bookmark the permalink. What Will Obama Say To Muslim World? Please read my appeal to Secretary of State John Kerry, on the eve of his visit to Ankara, at http://tinyurl.com/kerry-ankara . Distinguishing between the "bad Kurds" (PKK) and the good Kurds is emphatically a false distinction that will doom the peace process to failure. Kurds are staunchly united. I hope he gets this and really reads it! The power of the written word will always be great and we should all remember that. We should all do the same thing and start writing! We will not be ignored if there are a lot of us! It doesn't take much to write a letter!